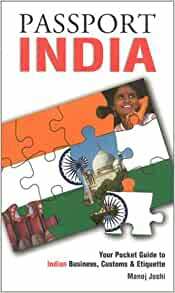 Comprehensive guide to the culture, etiquette and communication of India. Success in international business is not just about your product and service, or about terms and delivery schedules. Success is about people, traditions and relationships. Passport to the World books are comprehensive guides to understanding a country's people, culture, etiquette and communication styles. 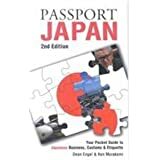 Passport India will help you: Avoid cultural faux pas Learn about India's values and beliefs Understand the reasons behind the actions Develop an effective negotiating style Don't leave without your passport! 2.0 out of 5 starsPrinted in 1997 -- and it shows. A word of caution: This book is not terribly useful for business travel in India. I spent 2 months in Delhi and didn't bother to check the publication date of this book. It is dated, to put it lightly. There are a few useful tips in this little book (mostly about business/social interaction). However, I found that the main cultural differences in business were clear after the first week of being there--no book could have prepared me. India is an incredibly vast and varied country; no one general guide can smooth the transition. If you're going to India to travel, the lonely planet or eyewitness guides will do you some good (really good if you're planning to visit out-of-the-way places). If you're going to India on business, then I'd suggest simply chatting with your Indian co-workers before or upon your arrival. Most likely they'll give you a better idea of what to expect; also, their advice will be tailored to your type of business and, more specifically, to the people with whom you'll be working. As with all people and places--we're unique. Allow your Indian experience to be unique too.